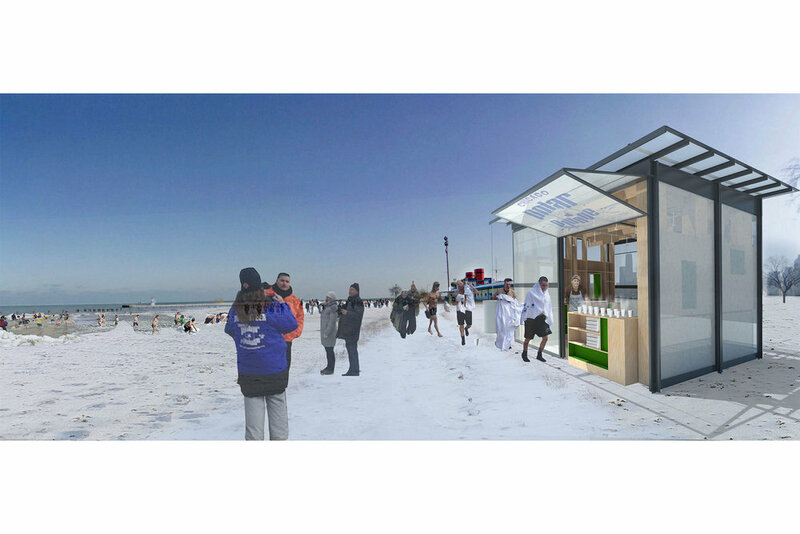 How do we design a flexible kiosk that thrives in both summer and winter? 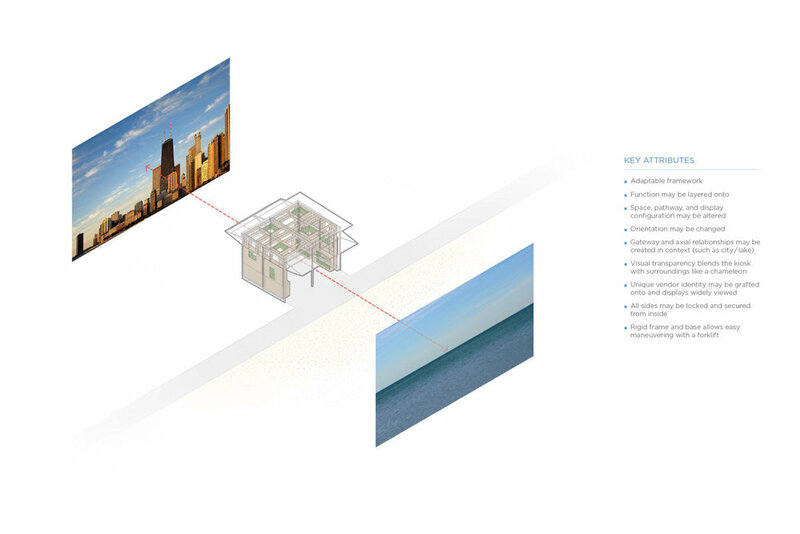 In contrast to the typical kiosk, we sought to create an architecture that is light and transparent. 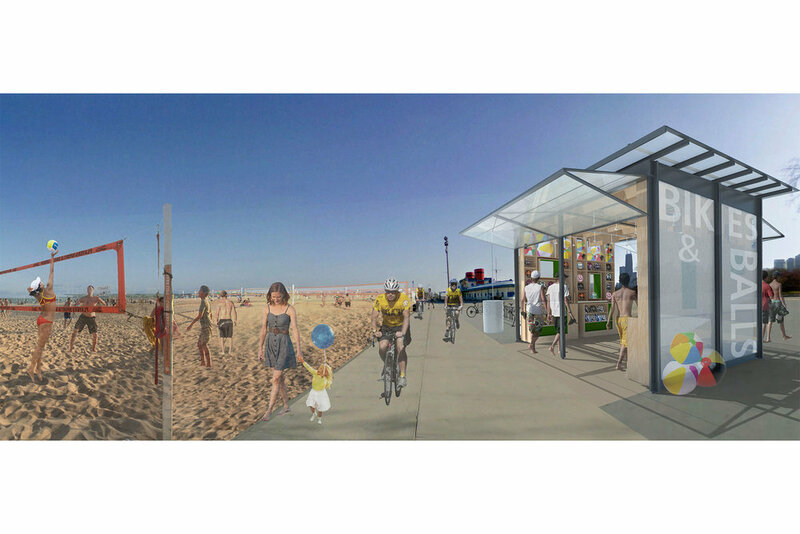 Located on the heavily trafficked North Avenue beach in downtown Chicago, the identity of the kiosk is twofold: an expression of the elements of architecture and the vendor who inhabits it. The transparent skin blends with its context like a chameleon, as well as showcasing the vendor. 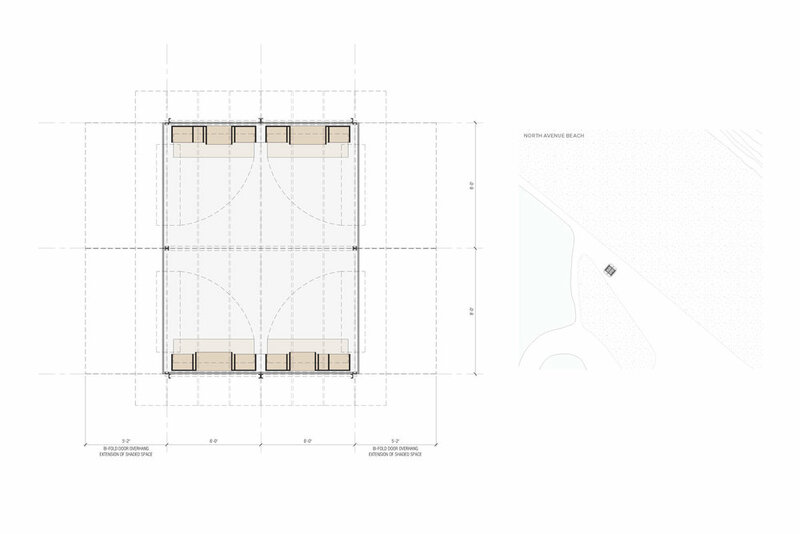 Two opposite sides have two doors each that fold up, permitting the kiosk to become a gateway that visually and/or physically forms a framed connection between two places, such as the city and lake. The flexible framework allows the kiosk to operate functionally in a multitude of ways. We image anything from a food vendor or hot chocolate station to a community performance stage.